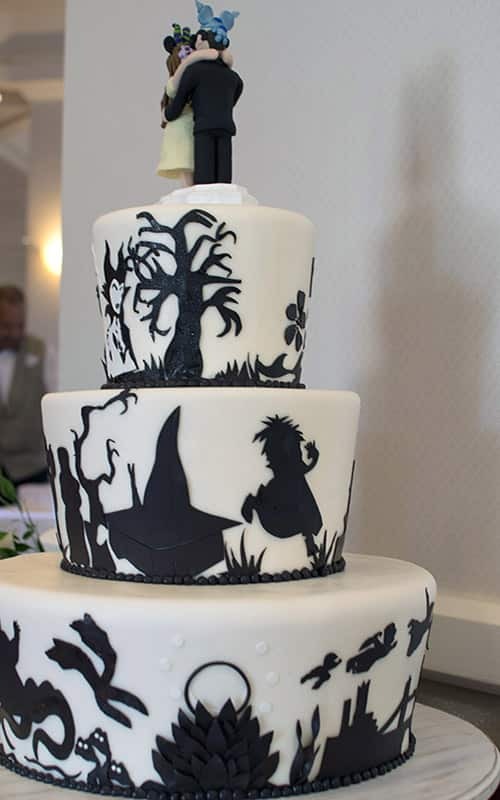 Who's the fairest cake of them all? 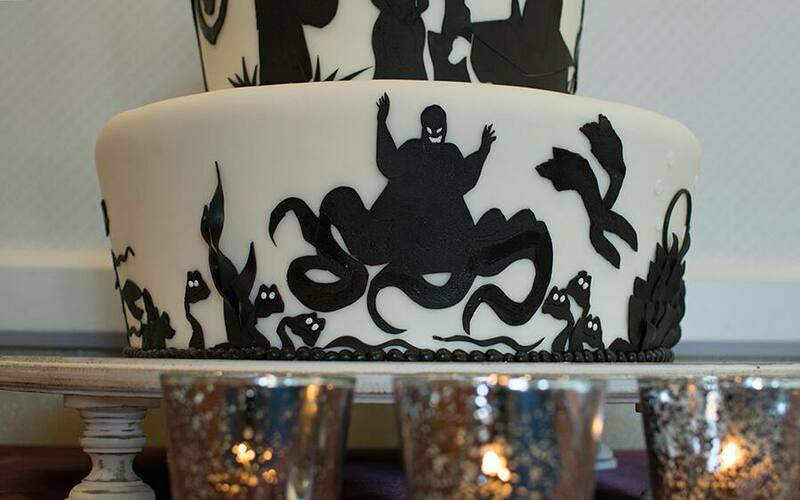 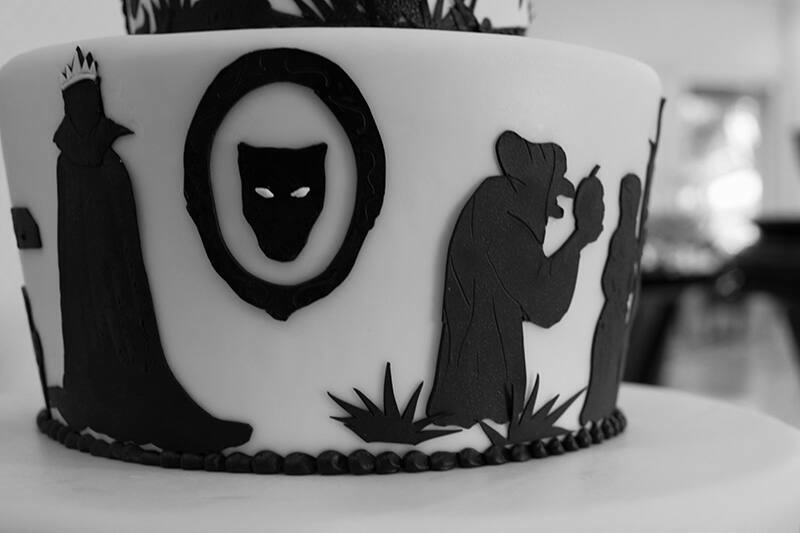 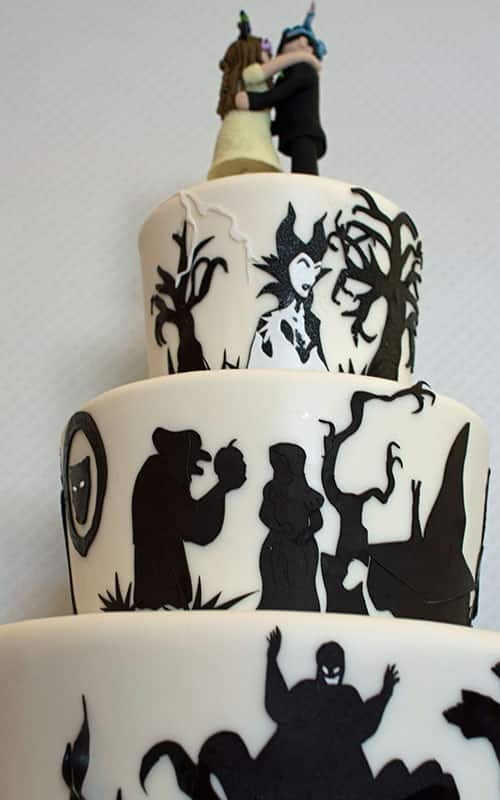 Today we celebrate many of the most iconic Disney Villains for Wedding Cake Wednesday. 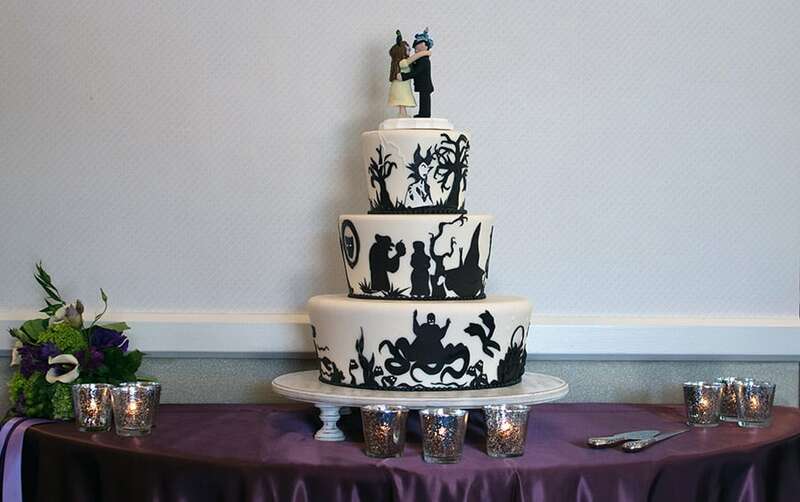 Silhouettes of the villains add a sinister flair to each of the three tiers. 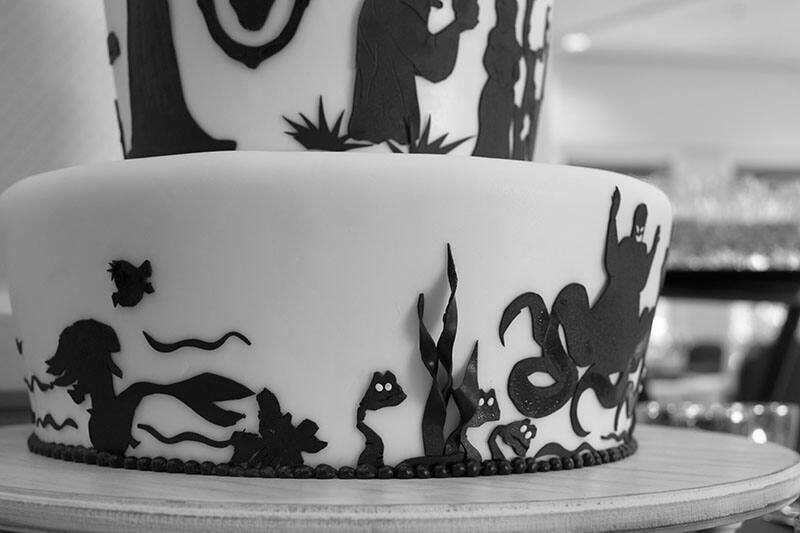 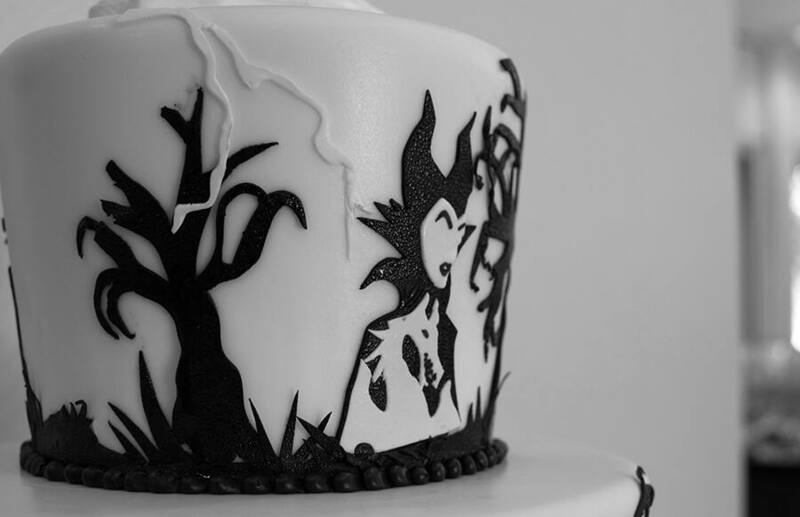 From Maleficent's intricate figure peering over the cake to the Evil Queen tricking Snow White into eating the poison apple, this is one wicked cake!